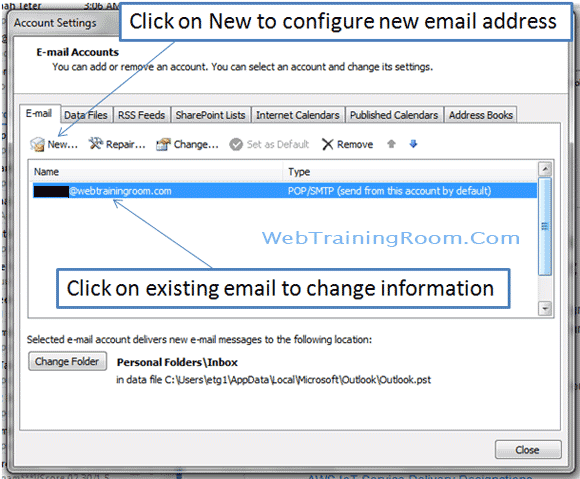 If you have created a new email id on your domain and now want to configure Microsoft outlook with new email and password, here are the step by step guidance to setup your Microsoft outlook. 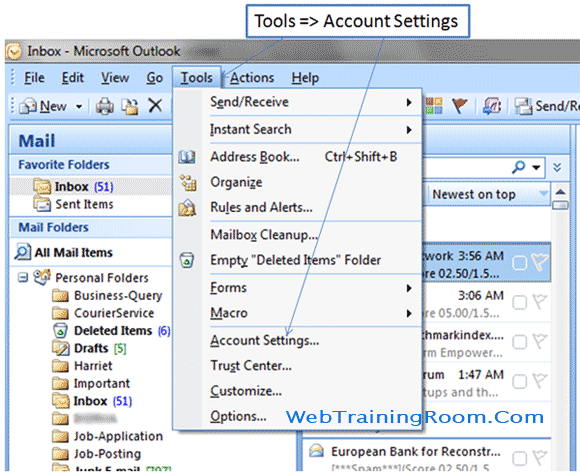 Just open your Microsoft Outlook, and then click on "Tools" => "Account Settings"
If you want to configure a new email id, then click on “New” or if you want to change configure information of an existing email id then click on that email id. 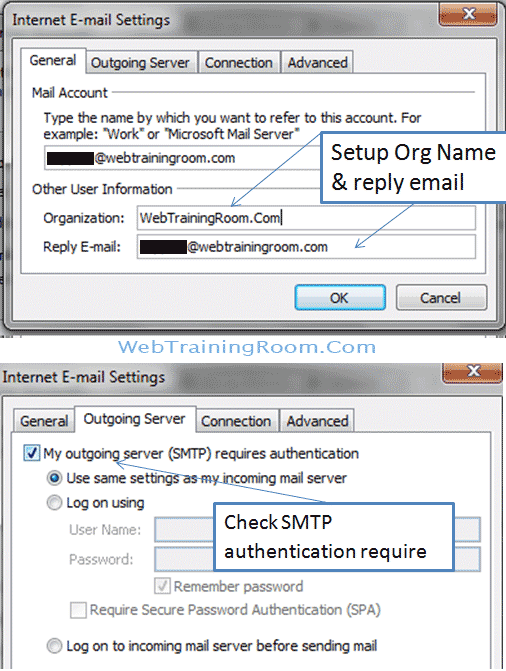 Now here you need to setup all your email related information including incoming mail server (Popo3) and Outgoing mail server (SMTP) information, make sure you check the “Remember Password” checkbox, so every time you open the outlook, you don’t need to type the password. 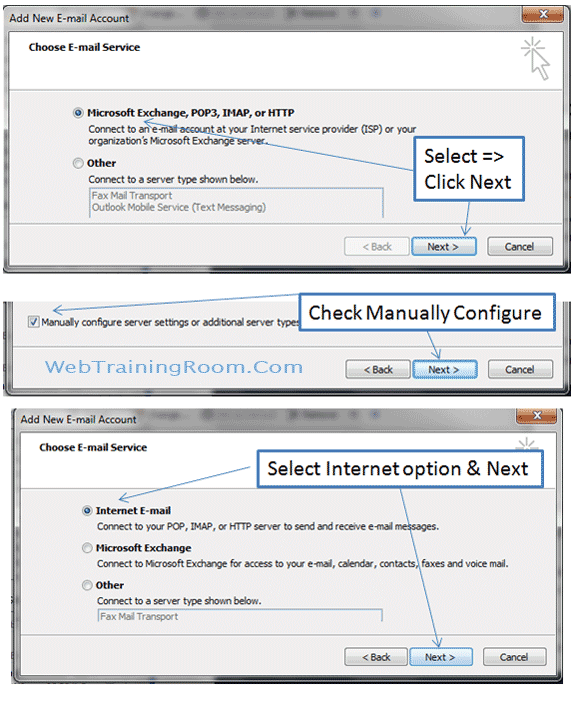 Now you are almost done, but there are few more .. so click on “More Settings”. 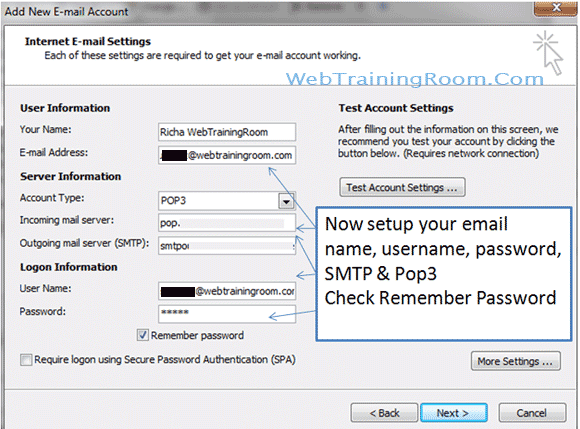 Once you are done with all settings, click on “Test Account Settings”, immediately you will get to know if settings are done correctly and both emails (incoming and outgoing) are working fine. 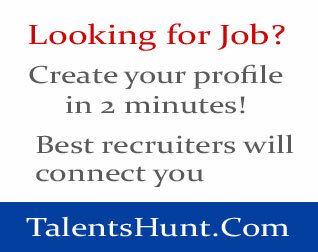 Finally share this article just by clicking any social media icon on right side, so your friend will get this helpful information.